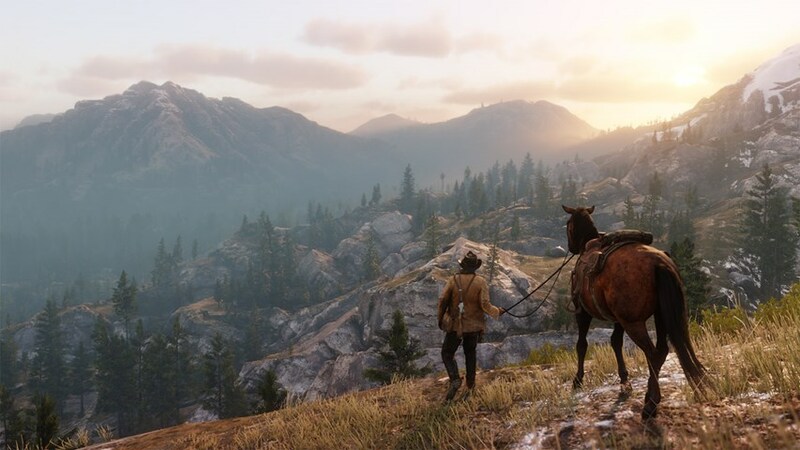 Diving into Rockstar’s eagerly anticipated Red Dead Redemption 2 evokes mixed feelings for me and probably many other players. The snowy introduction to the cast of misfit outlaws is interesting, it somewhat nods to the Quentin Tarantino Hateful Eight movie. It’s cold, and close-quarters offering a menagerie of personalities to highlight the differences between characters. Friends or companions players are going to spend a lot of hours with. In terms of gameplay though, it’s a slow, methodical plod that doesn’t inspire visions of bounty hunters, shoot-outs at noon or any of the usual wild west tropes one might expect. Red Dead Redemption 2’s stage entrance is almost painfully nondescript (for a video game) and certainly a very neat way to turn away some players not willing to endure such a divisive choice opening section. 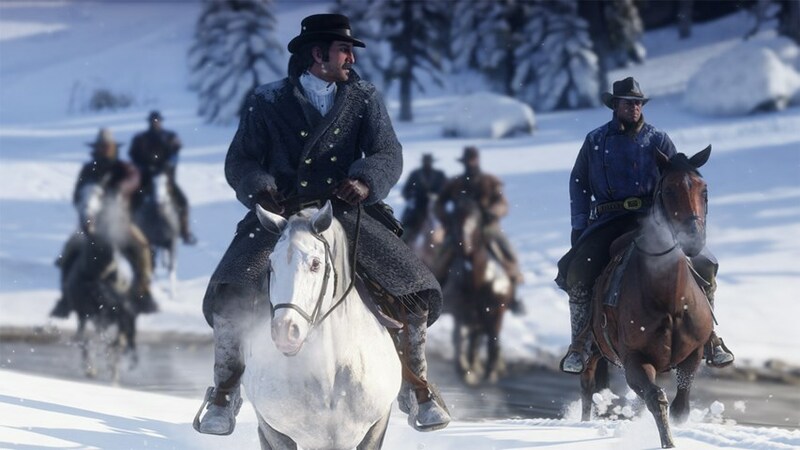 However, within hours among the melting snow, lead character Arthur Morgan and Co. move south (not literally), where the game shows its true colours and potential. It’s here where players proclaim their faith or disband for something less meaningful. 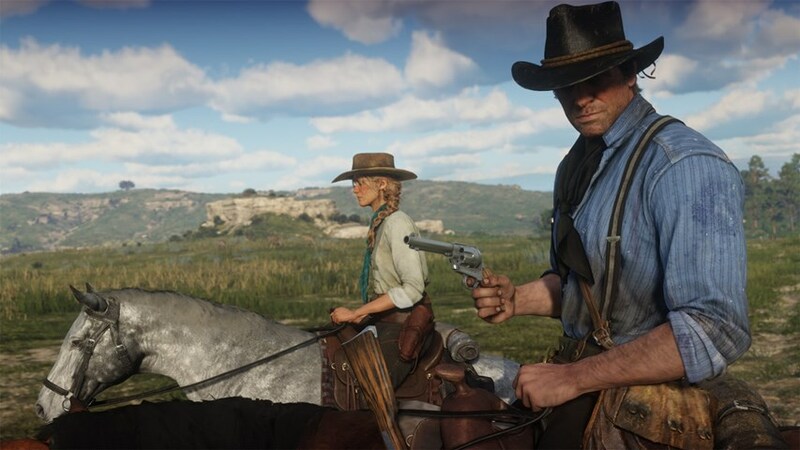 Red Dead Redemption 2 (RDR2) for me does a cracking job at giving characters context and it’s that reason why I saw the story through to the very end. As a titbit of information, on Xbox One at least only 14% of players have the achievement for beating the story 100%. That’s pretty low where in most games with a single-player it’s around a third. Still, RDR2 is a long haul and that’s without any distractions so this comes as no surprise. I expect something similar on PS4 as well. The truth is, despite all the gun-slinging, robberies and drama, RDR2 isn’t a game for everyone. I think the opening attention to detail makes this quite clear. For those who stick with it though, something quite brilliant presents itself. Arthur and companions have an interesting story to tell despite the journey overflowing with cliche and moments of contradiction or illogical choice. RDR2 wants players to experience the life of an outlaw in a time where such renegade ways become relics of a bygone era. You live through Arthur’s every moment (in third or first person). From the high points of conflict and conversation to the mundane and simple. It just works and feels like a simulation (in the loosest sense) rather than an action-adventure title. Rockstar cleverly interweaves purpose into most actions, but surprisingly, these optional paths become easily navigated. Arthur cleans weapons, feeds or brushes his horse, sleeps, bathes, eats and drinks. All tie into how well he performs in the action sections of the experience. Players who ignore all that endure a tougher engagement with the world. 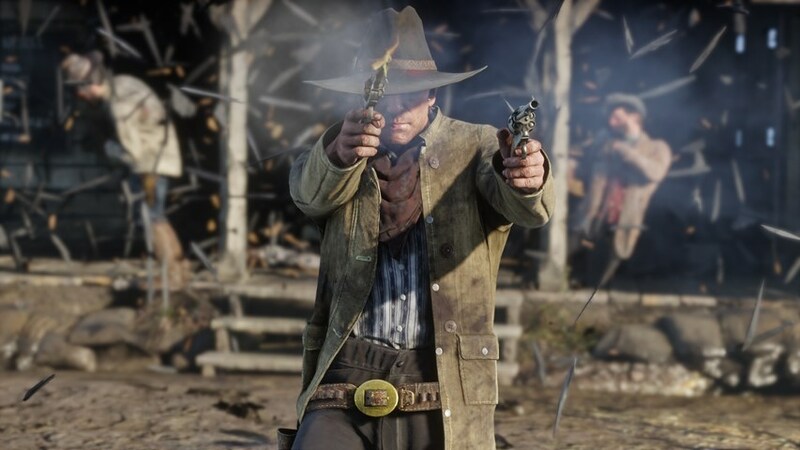 Your aim and stamina take a hit if you don’t keep Arthur’s levels in check. Damage output isn’t as effective if you ignore upgrades or don’t purchase better weapons. Players have a choice in how deep they want to play and it’s this approach that cements the game as a compelling RPG type experience. 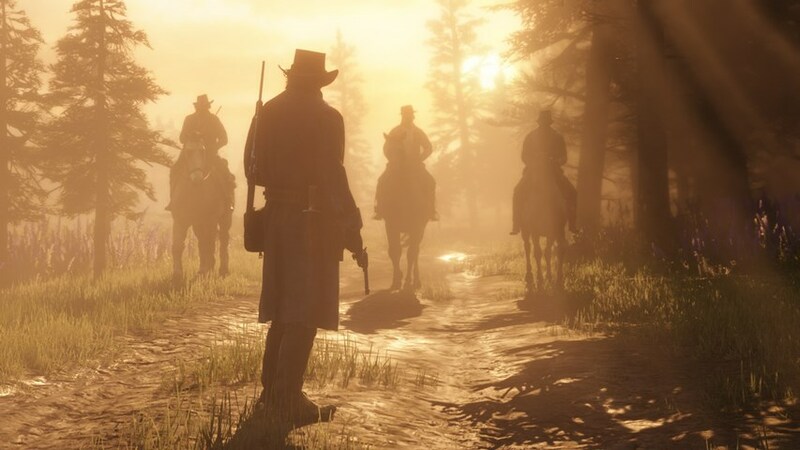 RDR2 systems work whether Arthur is herding cows, fishing or shooting the hats off escaping bounties. However, it’s not all rosy as the controls are fiddly at times and the AI (of your horse especially) results in painful encounters with…trees. Your horse is a fine companion where like everything else you form a bond with. Unfortunately, the horse AI will jump off cliffs to your demise, or gallop into a tree resulting in broken bones or a painful yet comical death. Worse is knocking over pedestrians in built-up areas. A simple “sorry didn’t mean to” doesn’t work when an innocent bystander is victim number 10 of horsey horse. Players learn to deal with these moments, but frustration infiltrates what should be plain-sailing. It’s an open-world game and bugs or issues of this kind remain entrenched no matter how polished everything else seems. RDR2’s greatest asset though is its story-telling. Arthur follows the life as a lieutenant of outlaw Dutch Van De Linde. The group of men and women follow Dutch’s direction from start to finish despite oddities with sense and sensibility at times. Dutch always has “a plan” and requires “faith” from his followers but the cards don’t always fall favourably. The camp element provides context for player actions in the world. Side missions and activities are not only conducted for personal improvement but provide provisions for the group. The fact players interact with each member in meaningful ways gives credence to that long and laborious opening section. Players should begin to appreciate the nuances of each person. Side with those more favourable with their personal goals or attitude. “There be some depth in those hills people” despite gaming tropes taking centre stage. Take character Sadie Adler, a rescued wife who joins the group through circumstance rather than choice. She adopts the role of the GTA V Trevor character. 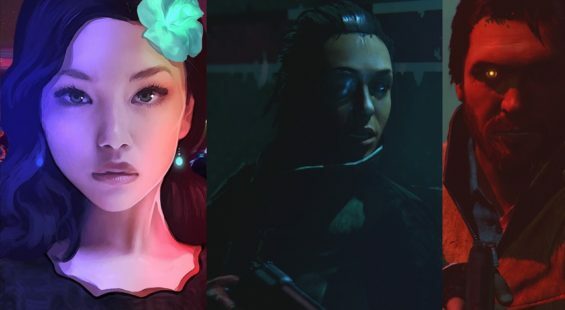 A stereotypical female video game character who is as tough as any male. Rockstar clearly aren’t hiding anything here under any pretence, wearing their motives suggestively on their sleeves. Sadie is the embodiment of today’s equality in video games. Yet at the same time, despite the obvious vulgarity, becomes one of the most likely characters players feel a strong affinity towards. 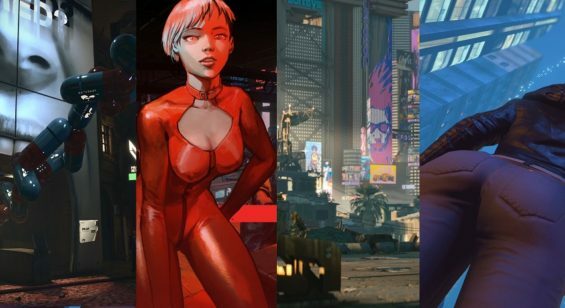 Eye-rolling aside, with such a diverse cast represented, characters with definition of her magnitude stand out and enforce any divisions in their obvious designs. I shall say no more for fear of any spoilers. RDR2 is a beautifully crafted piece of art. It offers high quality voice acting, a tremendous musical score that kicks-in at opportune moments. An engaging story and presentation that produces some real postcard quality moments at times. Players have great freedom to live out their wild-west fantasies with aplomb. As an open-world experience there is plenty to see and do which rack-up the hours. So much so, that as previously mentioned, is hard to finish. But, its story is so compelling, even if players devote a few hours per day ploughing through its delights, to see it through to conclusion. The job is then well done. You can’t start the journey and falter along the wayside leaving your friends and family behind. That’s how it feels. That’s the ideal Rockstar presents in creating such a self-motivated driven experience. Red Dead Redemption 2’s pacing might get to some players, that’s a given. The combat can feel a little wonky at times too. The overwhelming attention to the simple things might get the better of some players. Then there is the horse AI. But when all is said and done, this is a quality experience that I am glad to have played and found closure after so many invested hours. I can only fully recommend RDR2 to gamers who want a thoroughbred entertainment experience. That said, it comes with a cost of requiring some effort from the participant. Something players should most willingly provide.